You can use multiple remotes at the same time but they need to be powered up in the correct sequence. Connect 4X AAA cells to the transmitter and keep transmitter in power off state. Make sure the control board and receiver (Black coloured small box) are properly connected as per the photo. Check LED status on receiver. Power LED should be on and rx LED should start blinking. Turn on power on the transmitter and check status on the receiver RX LED. Once the transmitter and receivers are linked the RX LED will stop blinking and stay in ON state continuously. In any case the receiver is not connected retry using power switch on the transmitter. Also the same procedure can be used to link delinked receiver and transmitter when the receiver goes out of range. If there are multiple transmitters and receivers on at the same time please make sure you power them in correct sequence. Once a pair is linked it will work at the same frequency and frequency will only change if there is only one delinked receiver which is powered and on another frequency. 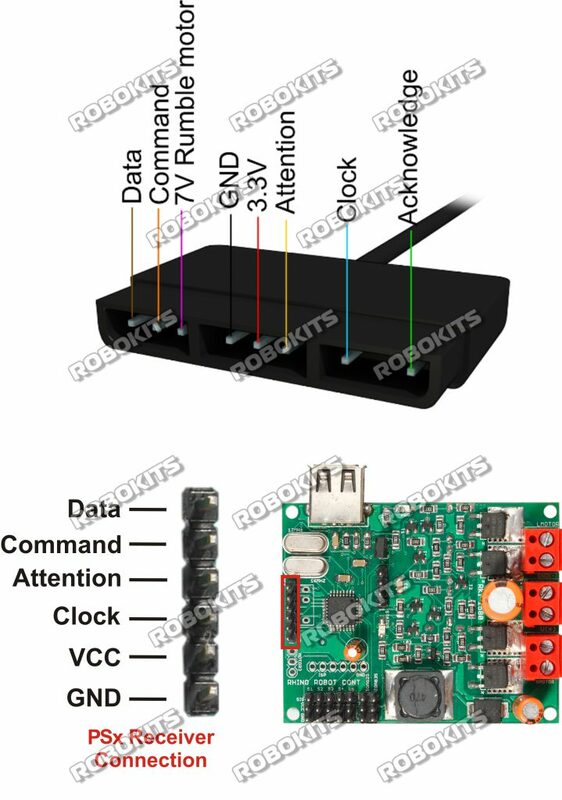 How can we program the one without motor controller? What is its range ? its a nice controller, I really love its combo function. But I was thinking is it programmable?